The octagon returns to Madison Square Garden on Nov. 4 for UFC 217, which features a tripleheader of title fights. In the main event, middleweight champion Michael Bisping, who has long wanted a big money fight, will get that opportunity against legendary ex-welterweight king Georges St-Pierre, who is returning to MMA for the first time since announcing his hiatus from the sport in late 2013. The co-main is a bantamweight championship grudge match between reigning titleholder Cody Garbrandt and former champion TJ Dillashaw, while women’s strawweight champ Joanna Jedrzejczyk puts her belt on the line against the incredibly dangerous Rose Namajunas. It’s not been a particularly strong Pay-Per-View year for the UFC, but 217 is a can’t-miss event. The preliminary card could easily be its own “Fight Night” card when you see who’s competing on it. With all of that in mind, let’s take a look at some of the fighters worth considering for your DraftKings team(s). Cody “No Love” Garbrandt established himself as the UFC’s new bantamweight king by scoring an upset win over Dominick Cruz at UFC 207. Garbrandt’s outstanding speed, boxing skills and takedown defense solved the Cruz puzzle. 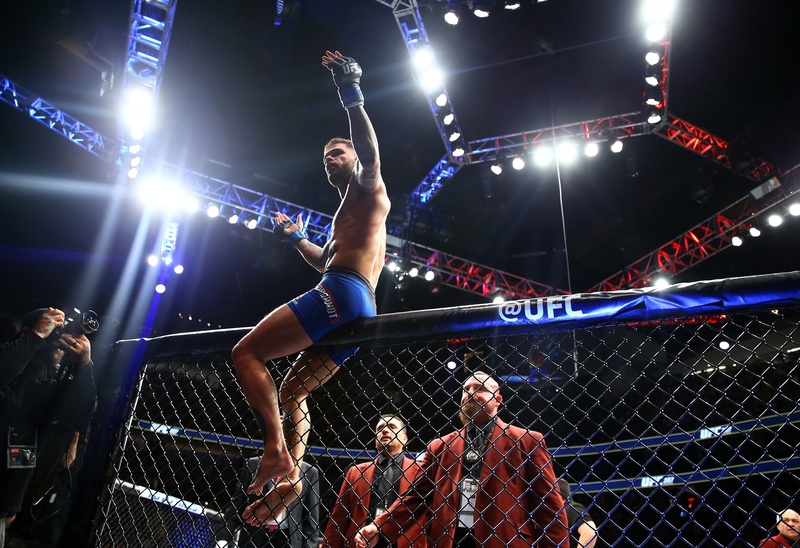 Garbrandt is a perfect 11-0 in his MMA career, with six of those wins coming inside the octagon. Dillashaw, who lost his belt to Cruz in January 2016, has won his last two fights by decision, defeating Raphael Assuncao in July and then John Lineker on the same night as Garbrandt’s win against Cruz. There’s no doubt that Dillashaw is best known for his two lopsided beatings of Renan Barao in championship bouts, of which the first saw Dillashaw as the challenger and the rematch as the champion. You couldn’t ask for a better matchup in this division. Two fighters who possess wrestling backgrounds but excel as strikers, plus they’re former Team Alpha Male teammates who since have become bitter rivals. Dillashaw’s footwork is excellent and his cardio is phenomenal, but Garbrandt has the technical ability and fight-changing power to finish Dillashaw like John Dodson did back in 2011. I side with Garbrandt to defend his belt in a classic, but Dillashaw’s historically higher output means that his $7,900 price tag very much is worth a look. Number of Note: 8. Garbrandt has recorded eight knockdowns in his six UFC contests, including at least one in every fight and twice against Dominick Cruz. “Joanna Champion” has been the dominant force at women’s strawweight. One more win would tie her with Ronda Rousey for most successful title defenses by a woman in UFC history. Jedrzejczyk’s fifth and most recent defense was a clear unanimous decision over the heavy-handed, always-aggressive Jessica Andrade. Standing in Jedrzejczyk’s way is Namajunas, who fought for the inaugural title only to be submitted by Carla Esparza. Since then, Namajunas only has been defeated by Karolina Kowalkiewicz, and in her last appearance, she knocked down and then choked out Michelle Waterson in impressive fashion. Namajunas is a terrific athlete with crafty striking and a dangerous ground game, but Jedrzejczyk is ridiculously hard to take down and is one of the most accurate and complete strikers in all of MMA. The great thing about Joanna is that while she hasn’t been finishing fights lately, she routinely scores high in fantasy MMA because she lands so many significant strikes over the course of five rounds. Namajunas very much has a chance here just on how opportunistic she is with even standing submissions, but I’m not going against Joanna Champion in this one. Number of Note: 198. Jedrzejczyk’s last four fights have gone the full 25 minutes, and she’s averaged a whopping 198 landed significant strikes per fight. Brazil’s Borrachinha is an undefeated rising prospect in the middleweight division, and so far he’s looked outstanding in his two UFC appearances. He debuted back in March against Garreth McLellan and put him away in just 77 seconds, then followed that up by stopping Oluwale Bamgbose in a fast-paced battle at UFC 212 in June. Hendricks is looking to bounce back from a TKO loss to Tim Boetsch, also in June. The former welterweight champ missed the middleweight limit against Boetsch and has dropped four of his last five. His one win during that span came against Hector Lombard back in February, in what was Hendricks’ debut at 185. Hendricks is both undersized and not the same fighter he once was. I have my concerns that the powerful and explosive Borrachinha might run into trouble if he can’t get his usual quick stoppage, but Hendricks’ notoriously sturdy chin has been compromised twice in recent fights, and I think we’ll see it happen a third time. Number of Note: 9. 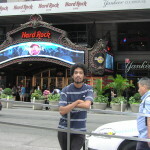 Borrachinha has fought 10 times in his professional career and has finished his opponents in the opening round on nine occasions, with only Bamgbose surviving into Round 2. 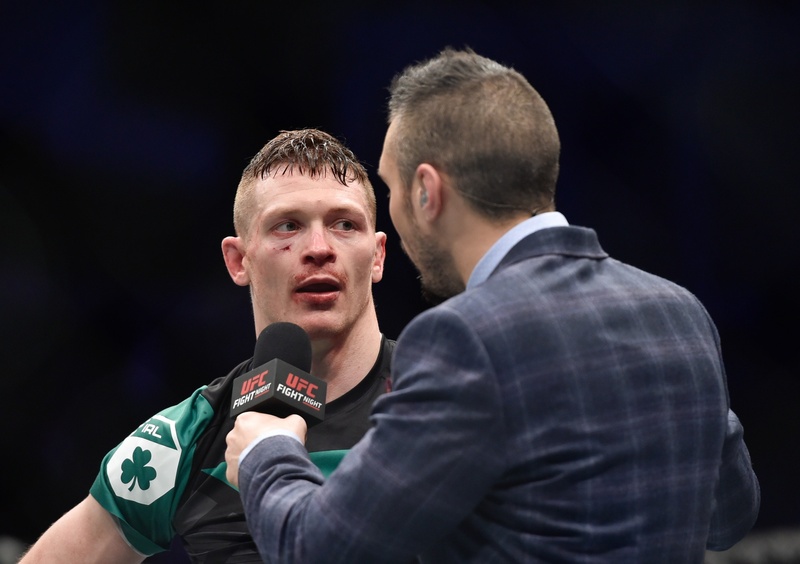 “Irish” Joe Duffy re-signed with the UFC in free agency, opting not to take his talents to Bellator MMA or another promotion. Duffy is coming off a dominant unanimous decision vs. Reza Madadi, which was preceded by a 25-second knockdown and rear-naked choke finish of Mitch Clarke in July 2016. Vick has flown under the radar as a potential lightweight contender, even with a UFC record of 7-1. 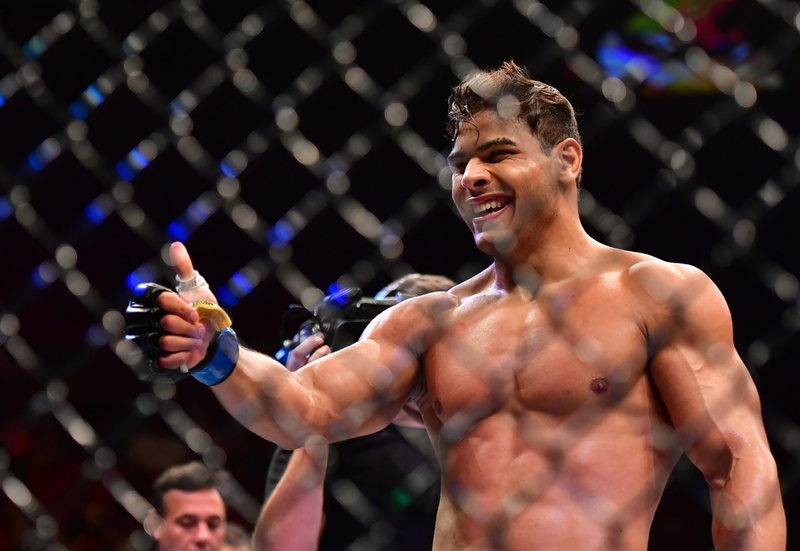 “The Texecutioner” submitted Abel Trujillo back in February, then followed that up with a TKO finish of Marco Polo Reyes at UFC 211. Vick’s only setback in his professional career is a KO to Beneil Dariush at UFC 199. These are two talented fighters on the cusp of the top-15. At 6’3”, Vick will have a five-inch height edge on Duffy, but he is at a disadvantage when it comes to technical striking and speed. Vick is a quality fighter, but I believe Duffy has smoother stand-up and solid takedown defense; plus he’s no slouch on the ground, either. Look for Duffy’s power and timing to pose a problem for Vick, and that’ll be the key to “Irish” Joe getting the W.
Number of Note: 14. Fourteen of Duffy’s 17 professional victories have come inside the first round, including three in the UFC. Vick’s loss to Dariush just so happened to be in the first round. This fight was supposed to happen at UFC 216, but in a remarkable twist of fate, Harris replaced an injured Derrick Lewis on the day of the event and wound up losing to Fabricio Werdum by armbar in just over a minute. 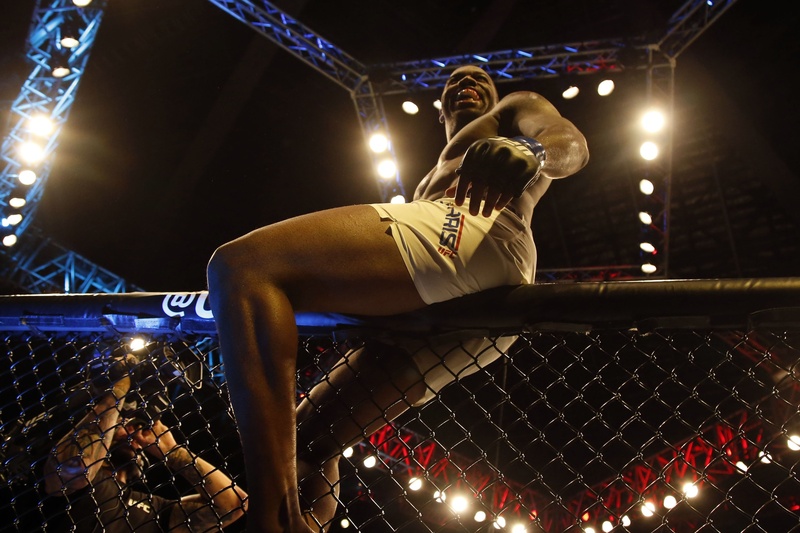 Prior to that wild night, “The Big Ticket” had scored consecutive stoppage wins over Chase Sherman and Cyril Asker and had looked considerably improved from his earlier UFC outings. England’s “Hand of” Godbeer suffered a submission defeat against Justin Ledet in his UFC debut but bounced back with a comfortable decision win over Daniel Spitz. The craziness of UFC 216, unfortunately, led to him not fighting at all that evening, but at least this matchup was quickly rescheduled. My opinion hasn’t changed one bit from one month ago. Harris is too fast, athletic and powerful for Godbeer, and I think he’ll get back in the win column with a knockout. At least there aren’t any heavyweights on the main card for Harris to replace at the last minute. Number of Note: 10. All 10 of Harris’ wins have come by KO or TKO, so you know he doesn’t like to leave his fights in the hands of the judges.